Following the shutdown of Boracay last April, one of the most affected industries was the F&B businesses in the island. 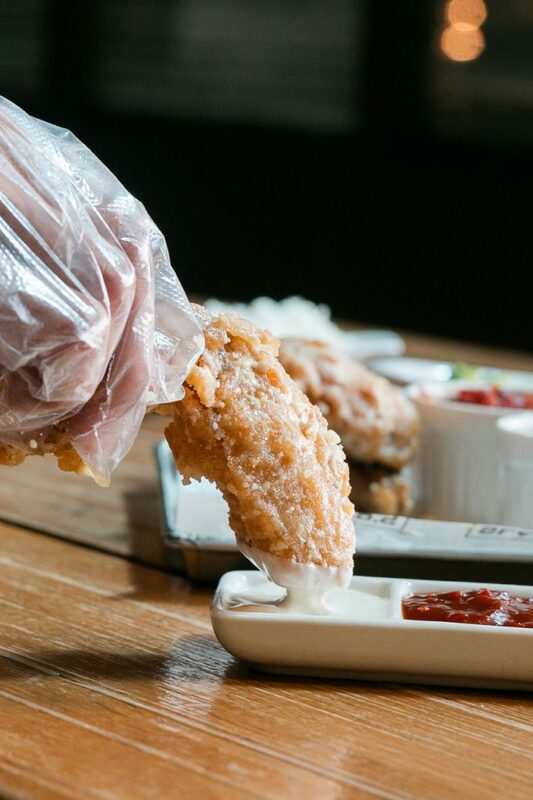 Some of these chains famous among tourists and locals alike found a home in the comfort of Makati, inside a food hall concept in Century City Mall. Hole in the Wall has become a go-to place for people who have multiple cravings at a time when food parks were not yet mainstream. When it opened in 2014, the brands that catered to the hungry crowds instantly became a hit. However, the rise of food parks brought an adverse effect to Hole in the Wall as new food establishments have copied its concept. Gone were the usual shacks and food stalls that once lined the 4th floor of the mall. But luckily, there were still a few original stalls and a few good ones which filled the gaps in the absence of the old ones. 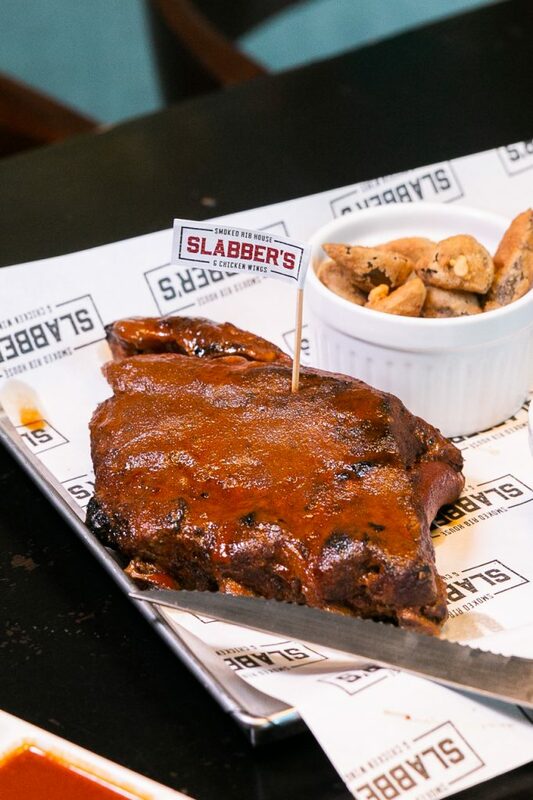 One of which is Slabbers, a new dining spot which offers all-time favorites ribs and wings. While the menu looks familiar and beyond the realm of reasonable expectation, what they lacked in original concept, they more than make up for with their big servings and flavorful offerings. 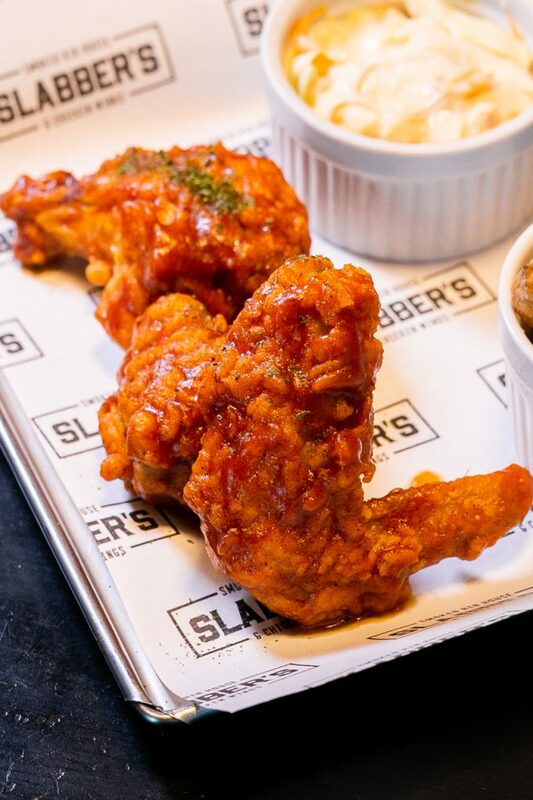 While the very ambiance of the food hall may be off-putting (despite it being a largescale food park, there are still servers who roam to refill your water after every swig), Slabbers is inviting its customers to use their hands (bare or covered in plastic gloves) to feast on their flavored wings. 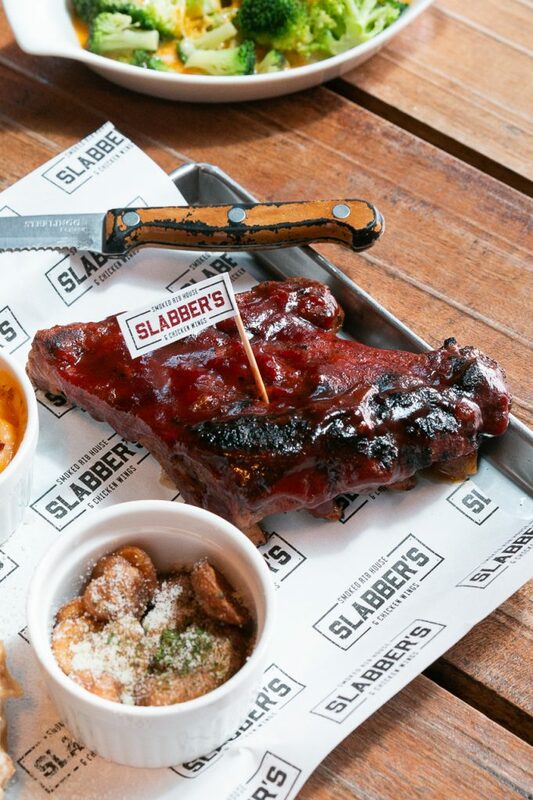 Luckily, that isn’t the case for their smoked ribs, which could easily be consumed using metal utensils without having to saw through it repeatedly. Each four-bone or 8/9-bone slab delivers to its promise of fall-off-the-bone tenderness. This is especially true for their signature Kansas-style ribs which is a cross between sweet and spicy, without burning your palate. Each serving of which comes with 2 regular sides, which is really more than anyone can ask for considering its size. You can choose from a dozen options from their sweet potato fries seasoned with the same rub used in the ribs, to a more bizarre yet surprisingly tasty option like their deep-fried pickles. 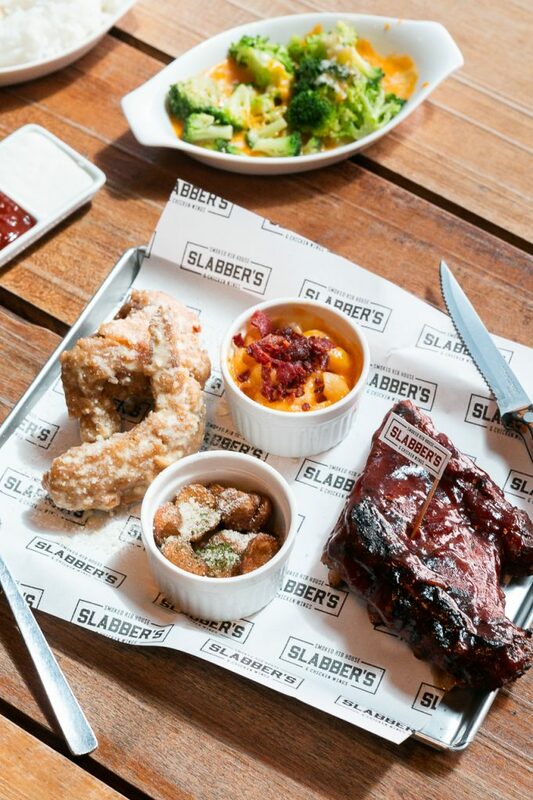 Catering to the growing market of indecisive eaters who just can’t decide what to get, Slabbers serves platters which have both ribs and wings. This also comes in three sizes: solo, double, and family, their biggest platter good for three to four persons. They are also widening their market by not only catering to those inside Hole in the Wall but also to residentials in the proximity through their delivery service, which comes in free, by the way. 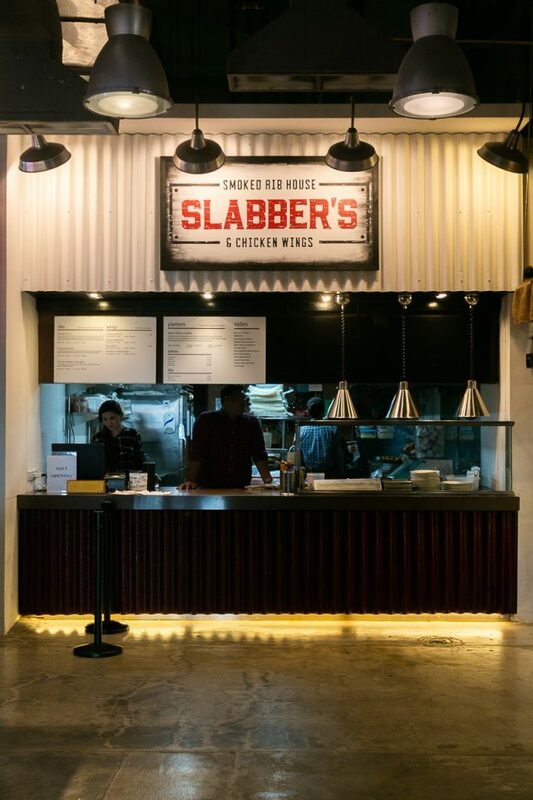 Slabber’s manager who also oversees another stall under the same management, shares that it has been tough lately for business, considering the shutdowns. He shares that the pop-ups from Boracay, although they are pulling in new customers, will only last until the second week of August. Soon, the stalls will be empty again, to be filled by a new franchise. But lucky for them, people’s love of food—especially of ribs and wings—isn’t something that is going to die down easily. Get the latest news and updates on new restaurant openings around Manila by subscribing to our weekly newsletter here. 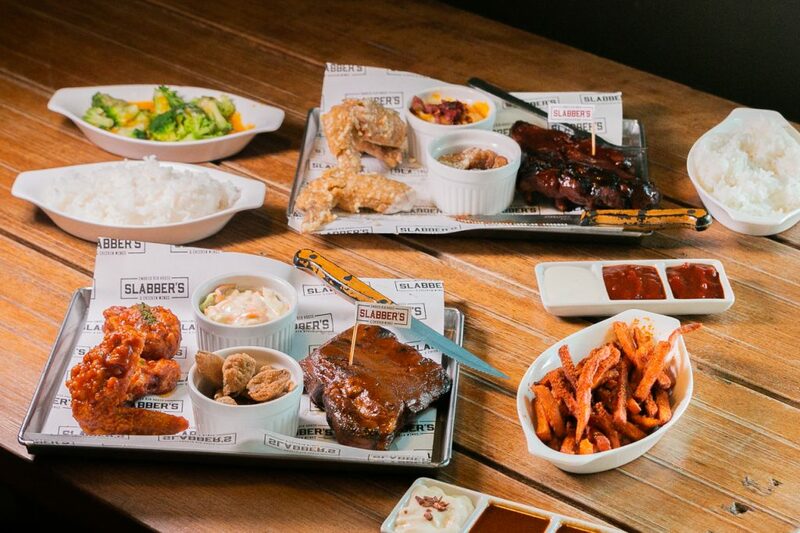 Their rib and wings platters come in hefty servings so their solo option is already good for two.